Sassy Gold Sandal Charm in 14 Karat White Gold. 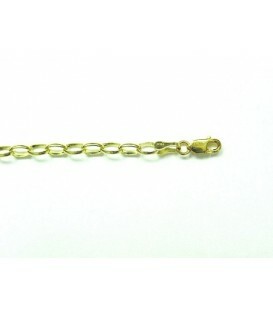 Sassy Gold Sandal Charm in 14 Karat Yellow Gold. 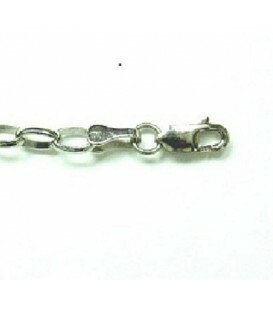 A simple and elegant 7.5 " Charm Bracelet in 14 Karat White Gold with lobster claw clasp. 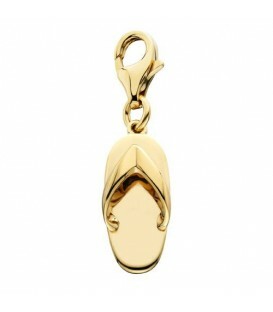 A beautiful handcrafted Enamel Sandal Charm set in an exclusive 14 Karat Yellow Gold Amoro design. Sassy Gold Double Sandal Pendant in 14 Karat Yellow Gold. 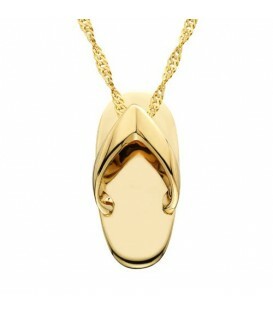 Sassy Gold Sandal Pendant in 14 Karat Yellow Gold. Sassy Gold Sandal Pendant in 14 Karat White Gold. 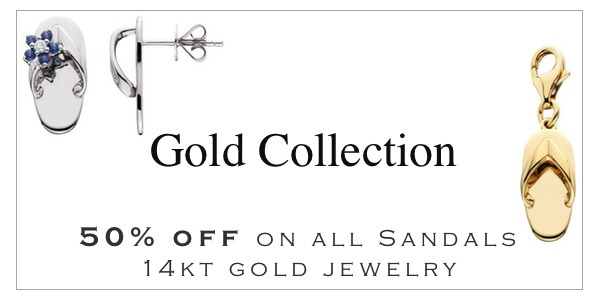 A charming 0.07 Carat Sapphire Sandal Charm in an exclusive 14 Karat Yellow Gold Amoro design. A charming 0.07 Carat Pink Sapphire Sandal Charm in an exclusive 14 Karat Yellow Gold Amoro design. A charming 0.06 Carat Emerald Sandal Charm in an exclusive 14 Karat White Gold Amoro design. A charming 0.07 Carat Ruby Sandal Charm in an exclusive 14 Karat White Gold Amoro design. 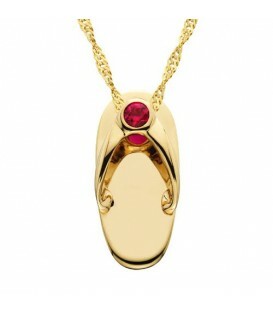 A charming 0.07 Carat Ruby Sandal Charm in an exclusive 14 Karat Yellow Gold Amoro design. 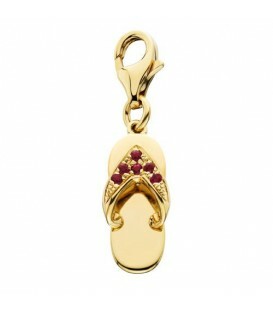 A charming 0.07 Carat Ruby and Diamond Sandal Charm in an exclusive 14 Karat Yellow Gold Amoro design. 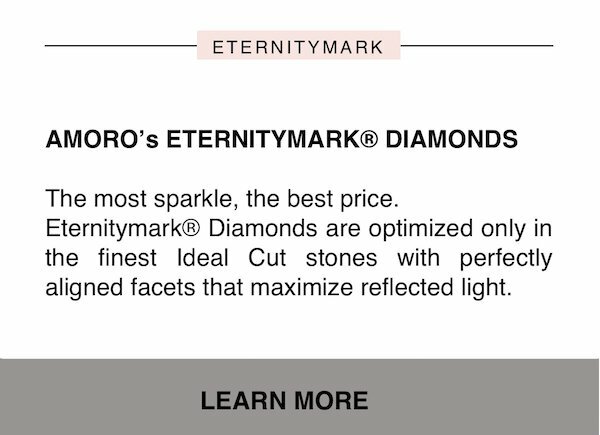 A charming 0.06 Carat Emerald Sandal Charm in an exclusive 14 Karat Yellow Gold Amoro design. A charming 0.06 Carat Emerald Clip On Sandal Charm in an exclusive 14 Karat White Gold Amoro design. A charming 0.07 Carat Sapphire Clip On Sandal Charm in an exclusive 14 Karat Yellow Gold Amoro design. 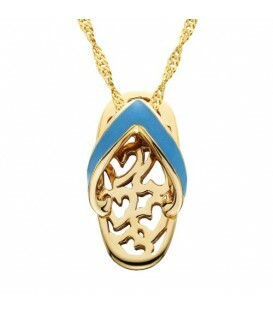 A beautiful handcrafted Enamel Sandal Pendant set in an exclusive 14 Karat Yellow Gold Amoro design. A beautiful handcrafted Enamel Sandal Charm set in an exclusive 14 Karat White Gold Amoro design. A charming 0.07 Carat Ruby Sandal Pendant in an exclusive 14 Karat White Gold Amoro design. 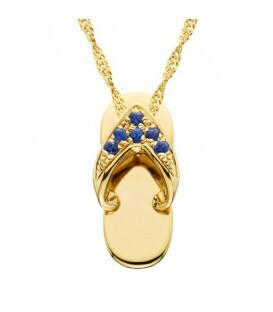 A charming 0.07 Carat Sapphire Sandal Pendant in an exclusive 14 Karat Yellow Gold Amoro design. A charming 0.07 Carat Sapphire Sandal Pendant in an exclusive 14 Karat White Gold Amoro design. 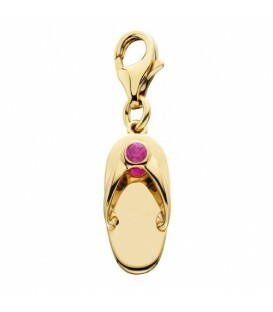 A charming 0.07 Carat Pink Sapphire Sandal Pendant in an exclusive 14 Karat Yellow Gold Amoro design. A charming 0.07 Carat Pink Sapphire Sandal Pendant in an exclusive 14 Karat White Gold Amoro design. A charming 0.07 Carat Sapphire Clip On Sandal Pendant in an exclusive 14 Karat Yellow Gold Amoro design. A charming 0.07 Carat Sapphire Charm in an exclusive 14 Karat White Gold Amoro design.